It's May and this can only mean one thing in Arizona, THE HEAT IS HERE! The weather has been pretty weird these past few days, cold, then hot, then BURNING hot, then chill..
Days like these I try to make simple, comfortable outfits and still make them look dapper. 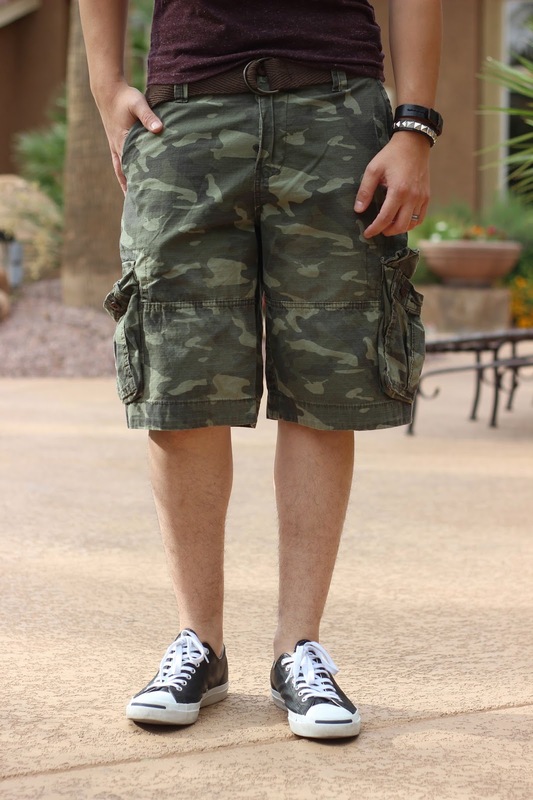 I planned this outfit around my camo print shorts from Aeropostale, decided to throw in a burgundy shirt from American Eagle for contrast along with these Converse leather sneakers. Some final pieces include some bracelets from H&M and AE, along with a Military Tag necklace I scored from Asos. So as you can see, I've taken advantage of the hot weather to make time to hit the pool, what are you doing to stay cool? Sneakers/Zapatos | Converse "Jack Purcell"
Camouflage wear for people of all ages, is a new thing that I have learnt, Thanks. 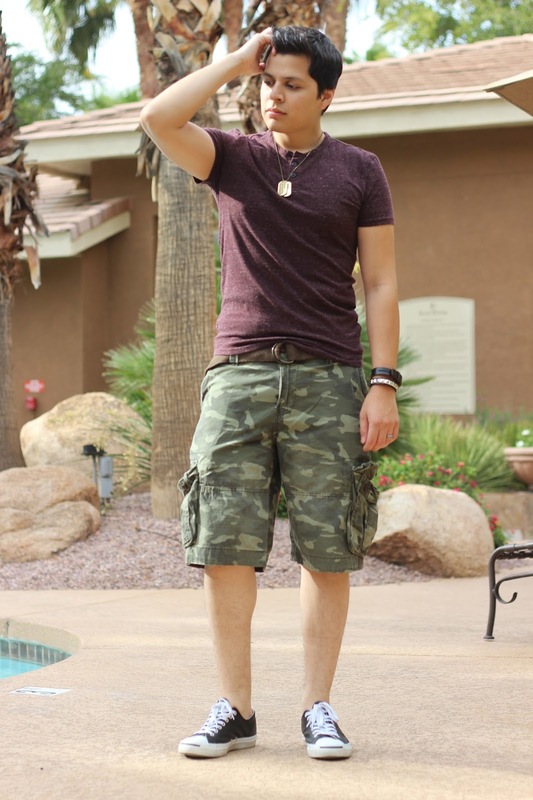 Great Casual wear including the special shoes for daily wear, looks like an excellent blog.